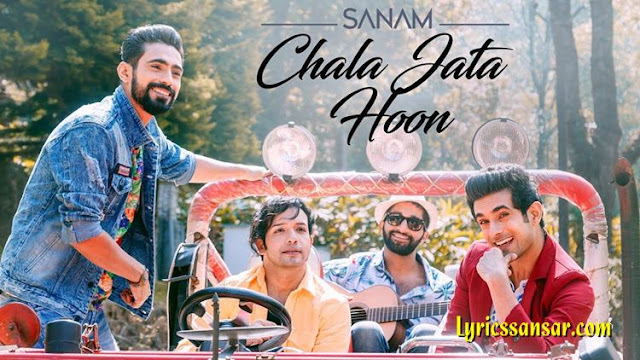 Chala Jata Hoon Lyrics By Sanam Puri : A SANAM Rendition of Kishore Kumar classic "Chal Jata Hoon" from the movie Mere Jeevan Saathi starring Rajesh Khanna. The song was originally composed by RD Burman with lyrics written by Majrooh Sultanpuri. The new SANAM cover version features Sanam Puri on vocals, Samar Puri on guitars, Venky S on bass and Keshav Dhanraj on Drums.